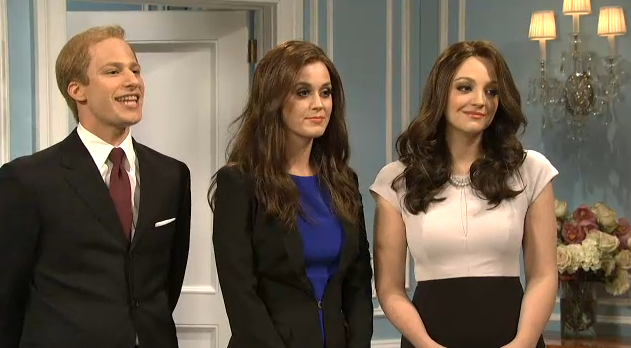 Katy Perry put on her best dirty Pippa Middleton last night on SNL. Oh lordy, it was good! I am sure that Kate Middleton is horrified, but man, it was funny!